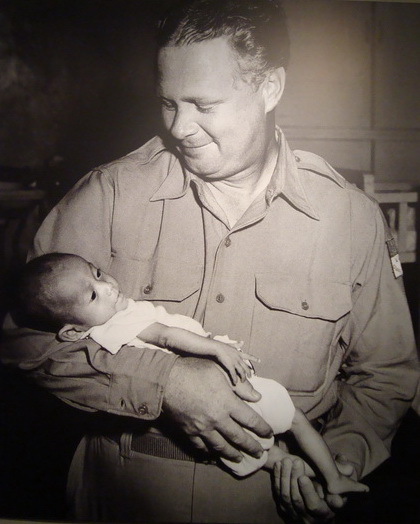 Robert “Bob” Pierce (1914-1978), relief worker, para-church administrator, founder of World Vision and Samaritan’s Purse, was born in Fort Dodge, Iowa but his family moved to southern California in the mid-1920s. He attended Pasadena Nazarene College and studied for the ministry. In 1937 Pierce took the road as a traveling evangelist in California. In 1940 he was ordained into the Baptist ministry while on staff at a local “evangelistic center” in Los Angeles. Soon thereafter he became involved with the Los Angeles branch of the WWII-era “Youth for Christ” (YFC) movement. In 1947 he became a full-time traveling evangelist for YFC, an appointment which shortly took him to Asia to evangelize American servicemen. The poverty, human suffering, and the plight of orphaned children haunted Pierce, and he vowed to mobilize conservative Christians back in the United States to meet these needs. In 1950 Pierce founded World Vision International, at first to primarily meet the needs primarily of children orphaned by the Korean War. Pushing a line of argument that evangelicals must first deal with people’s basic physical needs in order to have a better opening to preach the Gospel, Pierce took on a grueling regimen of travel and aggressively pursued both church-based and corporate help in feeding, clothing, and educating World Vision’s young wards. In the process, Pierce utilized radio and television broadcasts, films, and mass advertising and in 1960 created World Vision’s famed South Korean Children’s Choir to publicize the organization’s efforts. By the mid-1960s World Vision was caring for over 65,000 children in twenty countries. The travel and workload took a huge toll on Pierce, however, and the combination of exhaustion, ill health, a growing problem with substance abuse and the suicide of his eldest daughter led to a gradual deterioration in his mental and emotional state. In 1967 the leadership of World Vision forced him out as president, but in 1970 Pierce created a new, smaller organization–Samaritan’s Purse–that was designed to funnel relief funds and materials into emergency situations through existing aid agencies. Franklin Graham, son of evangelist Billy Graham, became Pierce’s protégé and received a “hands-on” apprenticeship. When Pierce died of leukemia in 1978, the young Graham was his replacement as Samaritan Purse’s new president. Bob Pierce’s role in creating two major evangelical relief agencies made him a pivotal figure in helping American evangelicals gain a new, holistic understanding of their mission to reach the world for Christ.